The Little Rock arts and culture community responded to September 11 as all sectors did. The Arkansas Rep had opened its production of You Can’t Take It with You on Friday, September 7. The show was already scheduled to be dark on September 11, but on Wednesday, September 12, 2001, the performances resumed. That night the Rep offered these unexpected Little Rock guests free tickets to the performance. Seeing a play which was both heartwarming, comic and full of Americana was the perfect balm for audiences who were weary, confused and nervous in the wake of the terrorist attacks. Most of the cast of that production was from New York City. Luckily, all of their friends and family back in New York were all safe. Also on September 12, 2001, the Arkansas Symphony Orchestra presented a previously scheduled concert with Michael Bolton. He had been traveling by bus so was able to get to Little Rock. His concert was cathartic for the 2000 plus attendees at Robinson Center Music Hall. It offered not only a communal experience but also a welcome break from 24 hour coverage. Three days later, on September 15, the ASO kicked off its MasterWorks series. As has been tradition since the days of Francis McBeth as conductor, that first concert of the season began with the National Anthem. The audience and musicians gathered and sang and played with unprecedented gusto that night. Two of the groups in particular come to mind. When airspace was closed on September 11, several flights were grounded in Little Rock. The passengers on those planes became unexpected visitors to Little Rock. The Arkansas Rep had opened its production of You Can’t Take It with You on Friday, September 7. The show was already scheduled tonbe dark on September 11, but on Wednesday, September 12, 2001, the performances resumed. That night the Rep offered these unexpected Little Rock guests free tickets to the performance. Seeing a play which was both heartwarming, comic and full of Americana was the perfect balm for audiences who were weary, confused and nervous in the wake of the terrorist attacks. 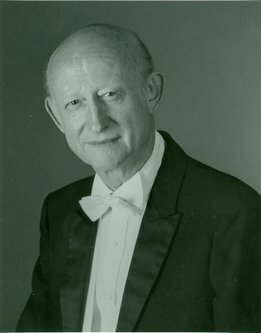 Former Arkansas Symphony Orchestra conductor W. Francis McBeth died late last week. A longtime member of the music faculty at Ouachita Baptist University in Arkadelphia, his impact on instrumental music was felt throughout the state, nation and world. 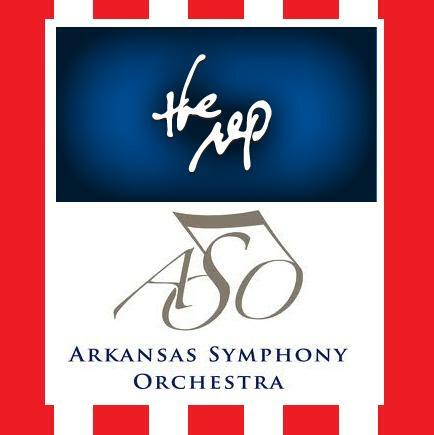 When the Arkansas Symphony Orchestra was launched in 1966, it used guest conductors for the first several years. As one of Arkansas’ preeminent band and orchestra conductors and composers, McBeth was asked to guest conduct from time to time. In 1971, he was named Conductor of the ASO and served in that capacity until 1973. During his tenure, the Symphony hired its first full-time professional musicians. He also started the tradition of “The Star-Spangled Banner” being played at the top of the first concert of the season. At the time of his retirement from the ASO, he was designated with the title of Conductor Emeritus. In 1975, McBeth was designated Composer Laureate of the Arkansas by Governor David Pryor. Arkansas was the first state to designate any individual a Composer Laureate. McBeth retired from teaching at Ouachita in 1996 but continued to compose and conduct throughout the country until recent health developments curbed those activities.